The Covenant Orientation (CO) Weekend is the first weekend retreat that SFCs will undergo after graduating from the Christian Life Program. It is to be conducted at least 3 months after the participants finish the Christian Life Program (CLP). 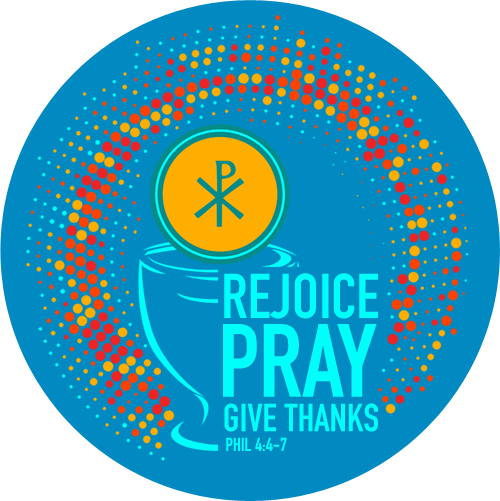 This retreat hopes to lead SFCs to desire a deeper relationship with God through a committed prayer life, Scripture reading, and receiving of the Sacraments. It will also inspire participants to live out their calling as SFCs in their family, workplace, and in community despite challenges and difficulties. So if you haven’t been to this retreat, this is a great opportunity to get away from all the craziness you may be going through. 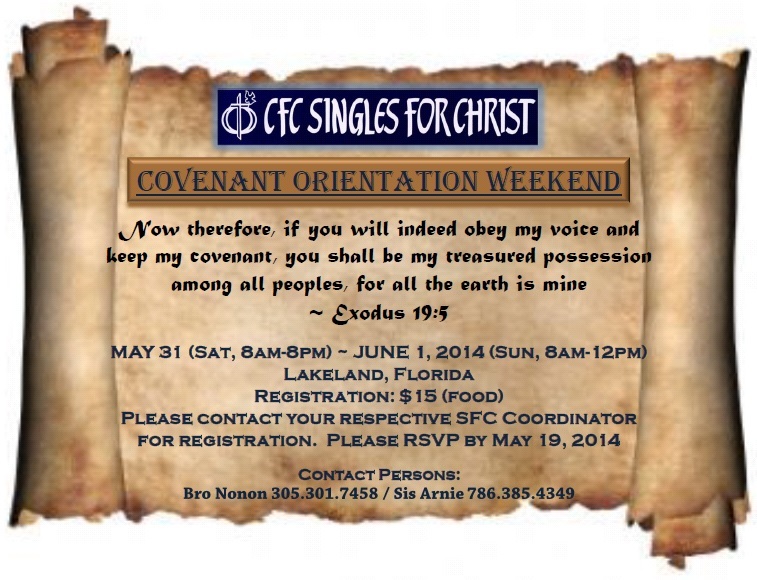 This entry was posted in Announcement and tagged covenant orientation, faith, lakeland, retreat, SFC.